China’s car market, the world’s biggest, is changing fast. With “new energy”, “connected” and “autonomous” among the industry’s buzzwords, tech-savvy start-ups have drawn inspiration from Tesla Motors and are determined to be the next disruptor of traditional carmakers like Volkswagen and GM. The South China Morning Post identified 10 newcomers that are looking to shake up the auto industry. 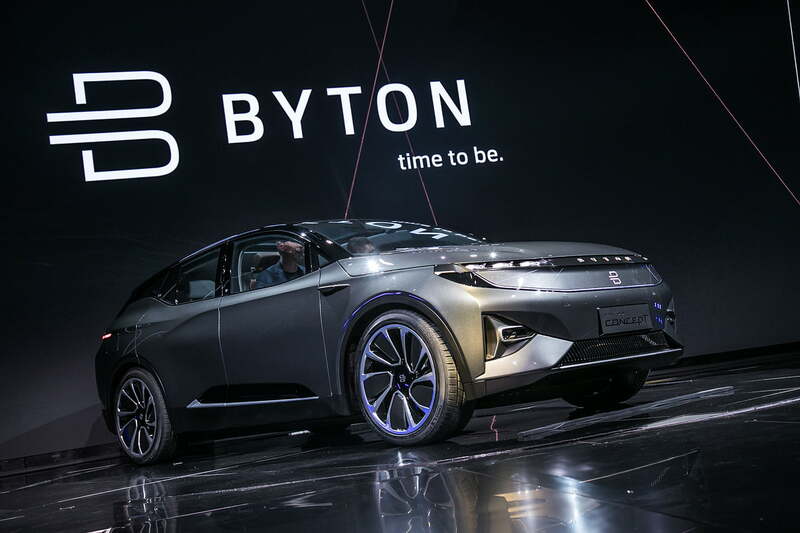 Byton: Co-founded by two former BMW executives, the company has built manufacturing facilities in Nanjing, and unveiled its electric SUV, featuring an edge-to-edge dashboard display, a tablet device on the steering wheel, facial recognition access, hand-gesture control and cloud-based data storage. It also announced a tie-up with autonomous technology start-up Aurora in deploying level 4 self-driving capabilities into its vehicles. NIO: The company unveiled its first production model, a seven-seater high-performance electric SUV, in December, to compete with U.S. carmaker Tesla. At half the price of Tesla’s Model X, it boasts such driver-assistance features as highway pilot, automatic emergency brakes and a smart in-car system with voice control and automatic adjustment of temperature and light. Xpeng: Xiaopeng Motor unveiled its first production model, the G3 electric SUV, featuring a windscreen that extends all the way back to mid-roof, giving occupants a sky view, Star Wars-inspired headlights, and a contour that the company said resembles a shark. It is in the same price bracket as Audi’s Q3, Mercedes-Benz’s GLA and BMW’s X1. WM Motor: The Shanghai-based start-up’s full-electric SUV, will go into production in the first quarter. Founded by former Volvo and Geely executives, the company has raised funds from Baidu and Tencent Holdings. The model will have level-two autonomous driving capabilities. Singulato Motor: Targeting the full-electric battery car market with a direct-sales model, Singulato Motor is another Tesla challenger in China. 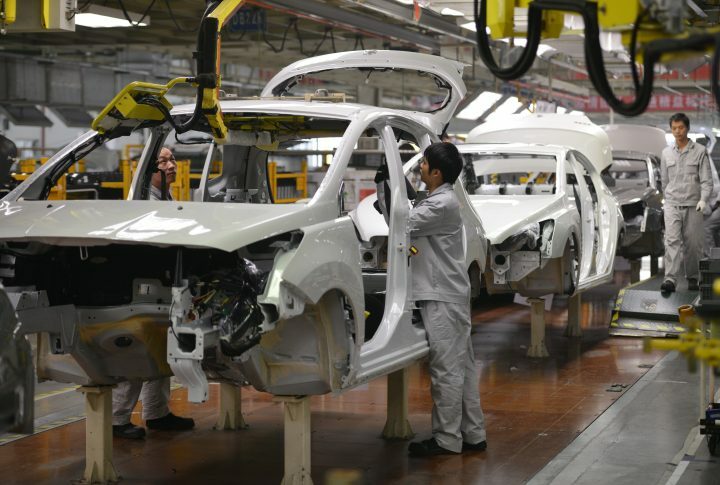 With investment from the municipal government of Tongling, Anhui province, the city will host its major production plant capable of producing 200,000 cars a year by around 2020. Singulato Motor opened its first experimental store in Beijing in January, and aims to expand to 200 stores in three years in major Chinese cities. CHJ Automotive: The company expects to introduce its first two production models this year, a full-electric SUV and an ultra-compact car. The models will have a swappable battery and utilize Google’s Android Auto operating system. CHJ Automotive’s two manufacturing facilities in Changzhou, Jiangsu province, are 90% automated and have an annual production capacity of 80 million battery cells. JingChi: Co-founded by Baidu’s former autonomous chief Wang Jing, the company launched a three-month public test ride program in January as part of its goal to be the first company to achieve large-scale, commercial deployment of Level 4 autonomous vehicles in China. However, Baidu has sued the company and Wang for alleged theft of intellectual property related to self-driving technology. Pony.ai: Founded by former Baidu executives and having re-located from Silicon Valley to Guangzhou, Pony.ai launched test rides of its autonomous cars in the city. Pony.ai plans to introduce a fleet of 200 self-driving cars in Guangzhou by the end of the year, where users will be able to hail an autonomous ride through a booking app like Didi or Uber. Roadstar.ai: The Shenzhen-based company is another artificial intelligence start-up focused on level 4 autonomous driving. The multi-sensor fusion technology it provides can support real-time data analysis of multiple sensors and will become a key solution to go with solid state laser radars that will significantly bring down the cost of autonomous cars. TuSimple: Headquartered in Beijing and San Diego, TuSimple aims to create the world’s first commercially viable autonomous truck driving platform, with a goal to “redefine the logistics industry”. The start-up has already begun tests of the system in Arizona and in China, and plans to move to commercial operation of cargo trucks later this year. 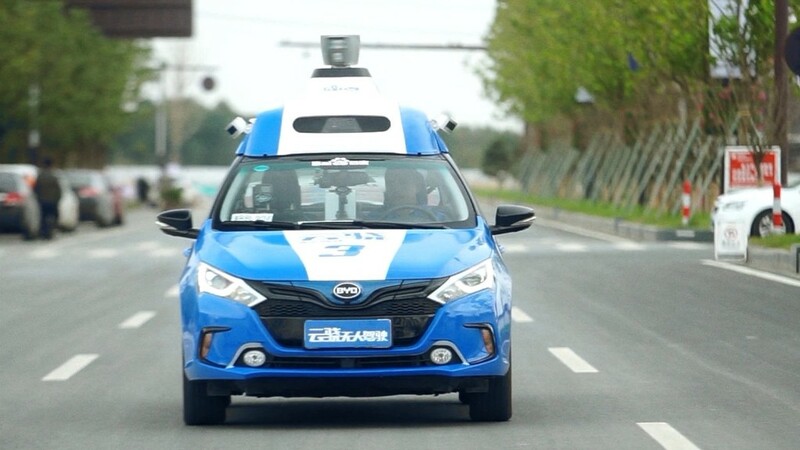 Baidu, which bills itself as “China’s Google”, has leapfrogged Tesla, Uber and Apple in the global race to build self-driving cars, according to a study. The Beijing-based company, which has invested heavily in developing artificial intelligence and applications for autonomous driving, outranks the U.S. trio in a study conducted by Navigant Research, which recently released its 2018 leader board report on automated driving vehicles. In the annual report, the U.S.-based research company ranked 19 companies involved in developing self-driving cars, scoring them on 10 criteria, from the company’s technology and vision to its strategy to commercialize products and their quality. Based on the score, companies are divided into four categories. Baidu was rated among “contenders” along with companies such as Toyota, Jaguar Land Rover and Hyundai Motor. The Chinese company had moved up from the “challengers” section, leaving Tesla, Uber and Apple to the lowest-ranked category. The traditional automotive giants General Motors, Volkswagen and Ford dominated the top tier, together with Google’s Waymo self-driving unit. As part of China’s hand picked champions for artificial intelligence (AI), Baidu has been charged to develop autonomous driving. At the CES technology show in Las Vegas earlier this month, Baidu Chief Operating Officer Lu Qi said that China is closing the gap with the U.S. rapidly in AI, thanks to strong government support and the country’s huge population size, which are key factors in promoting the development of the technology, the South China Morning Post reports. China expects smart cars with partial or fully autonomous functions to account for 50% of new vehicles sold in the country by 2020 — one of the most ambitious plans worldwide to push forward self-driving technologies. The blueprint, released by the National Development and Reform Commission (NDRC), is part of the country’s efforts to become a global power in smart car development and production by 2035. 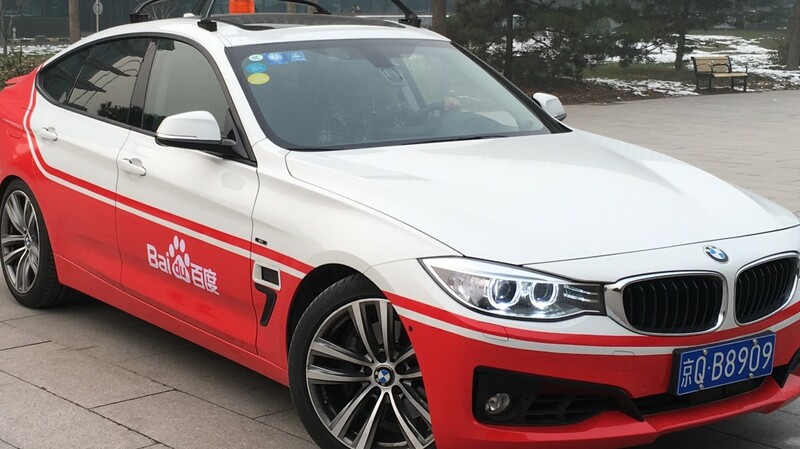 In order to perfect the legal system for self-driving technologies, the government will speed up the drafting of regulations for public road tests of autonomous driving and revise the current road safety regulations “when conditions are mature”, according to the plan. The NDRC also expects China to basically finish a framework of smart car standards – ranging from technological innovation and infrastructure to legislation, production supervision and information safety – by 2020. “Developing such cars is of great significance, which would create new economic growth points, alleviate traffic-related problems and enhance China’s competitive edge,” said the Commission. Private capital is invited to join the efforts. The NDRC also suggests favorable tax and other financial policies for small and medium-sized companies and startups in smart cars and encourages international cooperation to introduce advanced technologies. The NDRC also called on Chinese companies to expand their global presence through mergers and joint ventures. Several global car manufacturers are already cooperating with Chinese companies and organizations in the development of self-driving cars. General Motors Co has demonstrated a vehicle-to-infrastructure communication application on public roads based on a standard it developed with Tsinghua University and China’s Changan Automobile. Baidu’s self-driving program, Apollo, has attracted a large number of Chinese and international partners, including Ford Motor and Daimler. A total of 21 Chinese companies are planning a CNY1 billion joint venture that will specialize in research and development of such cars. Among investors are FAW Group Corp, Dongfeng Motor Corp, China Mobile, China Unicom and Didi Chuxing’s parent company, Beijing Xiaoju Technology, the China Daily reports. In actual numbers of electric cars sold, China is the clear leader, with more than half the world market of about 1 million cars and light trucks. Chinese companies are preparing to export electric cars to the U.S. and Europe and to build car plants in Western markets. Moreover, Chinese capital is behind niche electric carmakers in the U.S., including Lucid Motors, Faraday Future and SF Motors, all based in California. China may soon allow foreign automakers to establish wholly-owned operations in China, possibly first in free trade zones (FTZs), according to heads of the country’s leading car associations. “Probably as early as next year, China will allow them to build wholly-owned facilities dedicated to new energy cars in its free trade zones,” said Dong Yang, Executive Vice President of the China Association of Automobile Manufacturers (CAAM) at a low-carbon car forum in Beijing. Fu Yuwu, Director of the Society of Automotive Engineers of China, said that the Chinese authorities will remove the ownership stake cap on carmaking joint ventures. Currently, foreign carmakers wanting to produce cars in the country must have local partners and their stakes cannot exceed 50% of the joint ventures. China also has limits on the number of joint ventures a foreign carmaker can have, but since June partnerships dedicated to new energy cars are exempted from the rule. Tesla could be one of the first foreign companies to set up a wholly foreign owned subsidiary in the Shanghai free trade zone (FTZ). But cars produced in free trade zones are not exempt from a 25% import tax, wiping out the cost advantage of producing in China. Lifting of the investment cap for gasoline-powered cars is not expected in the near future, as Chinese car manufacturers are still building up their market share. China’s electric vehicle industry seems to be well on the road to global dominance. Dig a little deeper and the figures are less impressive than they first appear. 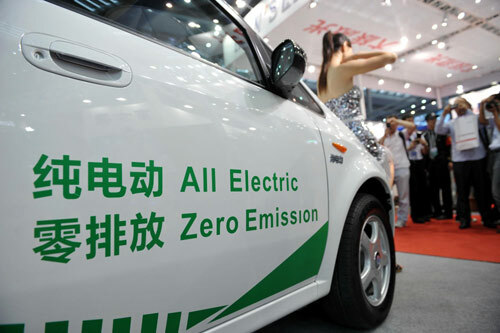 In 2015, Beijing declared its plans to dominate the world’s electric car industry by the year 2025, and in 2016 Chinese car manufacturers planned to sell 500,000 electric vehicles in the domestic market. The target was met. About 340,000 of the half a million EVs were passenger cars, the rest were mostly buses. In contrast, manufacturers in the world’s second largest market, the United States, sold just 155,000 electric passenger cars. What is more, China’s electric vehicles are manufactured overwhelmingly by locally-owned producers, not foreign joint ventures, and they are based on Chinese technologies. Last year China’s leading electric vehicle maker, Shenzhen-based BYD, turned out 100,000 cars. The leader in the U.S., Tesla, managed to sell 76,000 into its home market. But the industry’s development also faces some issues. The rapid increase in electric car sales has been powered by generous government subsidies and incentives. Last year, China’s central government offered subsidies of CNY30,000 to buyers of plug-in hybrid cars, and as much as CNY55,000 to purchasers of pure electric cars. Some local governments offered additional subsidies of the same amount, to total 60% of the vehicle’s sticker price. Thanks to the subsidies, electric vehicles were competitive with conventional cars. On top of that, license plates for electric cars and plug-in hybrids are free. The prevalence of subsidies has meant almost every one of China’s 169 domestic car makers, most of which are backed by local governments, has rolled out models of electric cars. The majority are low-tech and of poor quality, and struggle to make sales in the commercial market. As a result, the biggest customers for these cars are often the local governments that support their manufacture. Now the central government may cap the subsidies, and impose strict quotas for electric vehicle production on the country’s car manufacturers, which may have a serious impact on sales. Chinese car manufacturer BYD announced that its net profits fell by 23.8% to CNY1.72 billion in the first half of the year, missing analysts’ expectations. Reduced government subsidies weighed on its sales of new energy vehicles (NEVs), while fierce competition hurt its photovoltaic business. BYD operates in three distinct business sectors: automobiles, mobile handsets, and rechargeable batteries and photovoltaics. For the first half of the year, the three segments posted revenues of CNY22.4 billion (down 4.1% from a year ago), CNY18 billion (up 10.25%), and CNY3.42 billion (down 15.75%), respectively. BYD said that it expected the divergent performance of its three business lines to continue into the latter half of the year. Renault-Nissan and China’s Dongfeng Motor Group announced they will set up a new joint venture – Hubei-based, eGT New Energy Automotive Co, to develop electric vehicles in China. “This marks a deepened and strengthened strategic cooperation between Dongfeng and Renault-Nissan,” said Zhu Yanfeng, CEO of Dongfeng. Under the agreement, Renault will hold 25% of eGT, Nissan will own 25%, and Dongfeng the remaining 50%.